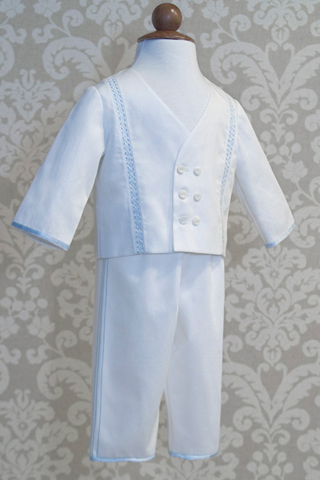 If your little man prefers a suit, we design two-piece boys christening outfits. 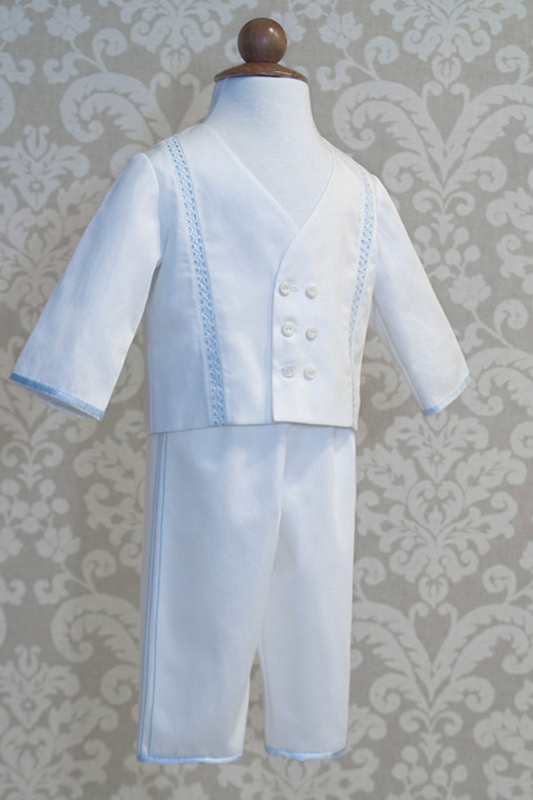 Your baby will look crisp and tailored with a double-breasted jacket and pull-on, elastic waist pants. 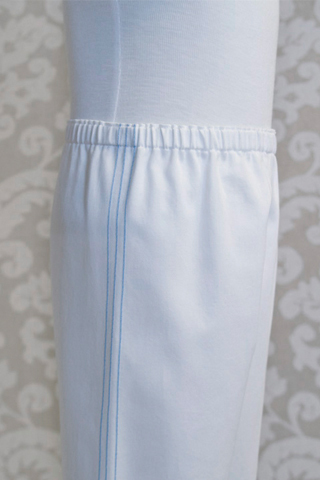 100% cotton sateen – Hand wash in lukewarm water, with a soft detergent. Air Dry, press on medium setting. 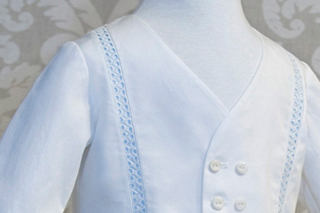 100% linen – Hand wash in cool water, with a soft detergent. Air Dry, press on medium setting.